We are approaching the halfway mark for the year. 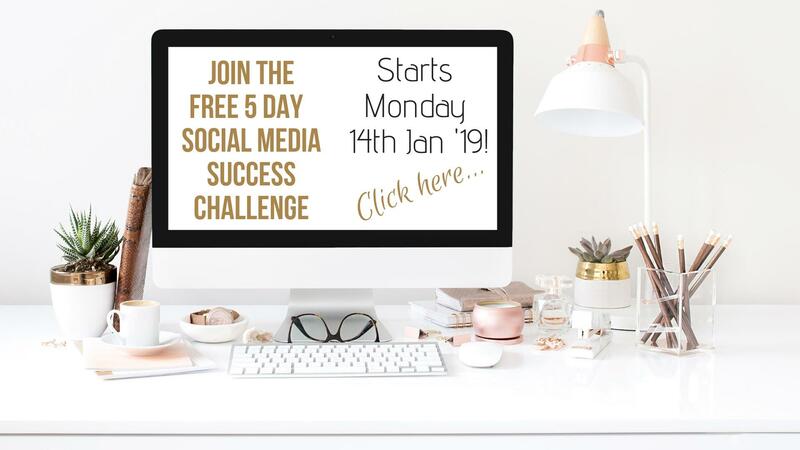 Are all those great social media goals and content plans starting to suffer? 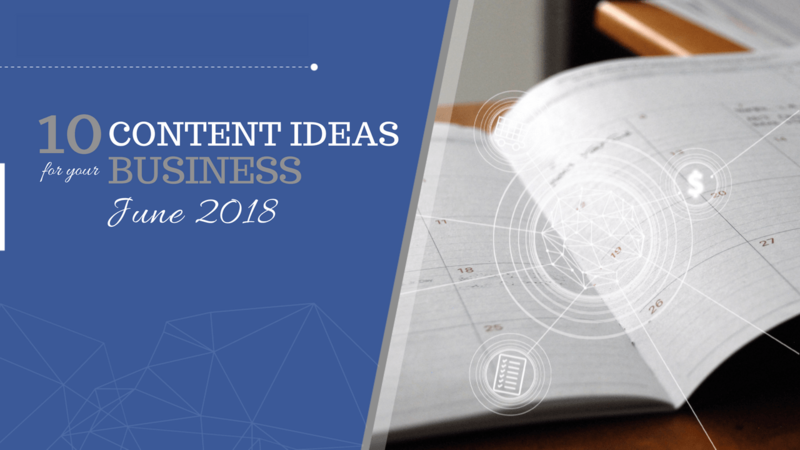 We've got you covered with 10 content ideas for the month of June. Have a quick read and choose the ones that will work for you customers and clients. Then it's time to get creating! 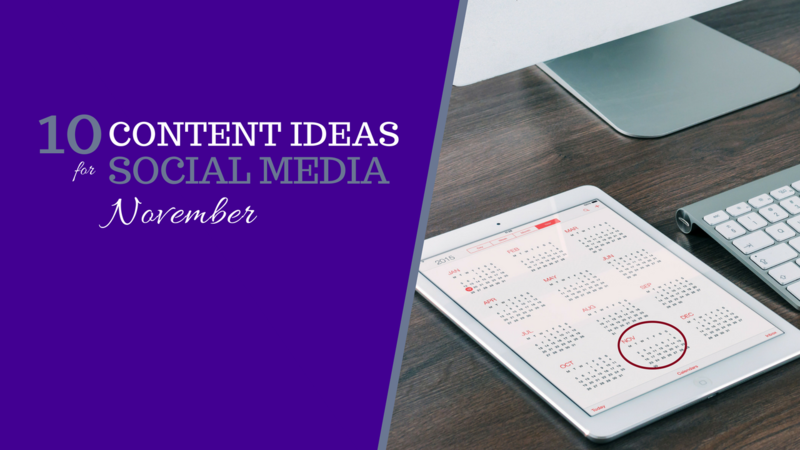 This month is jam-packed full of social media content opportunities. 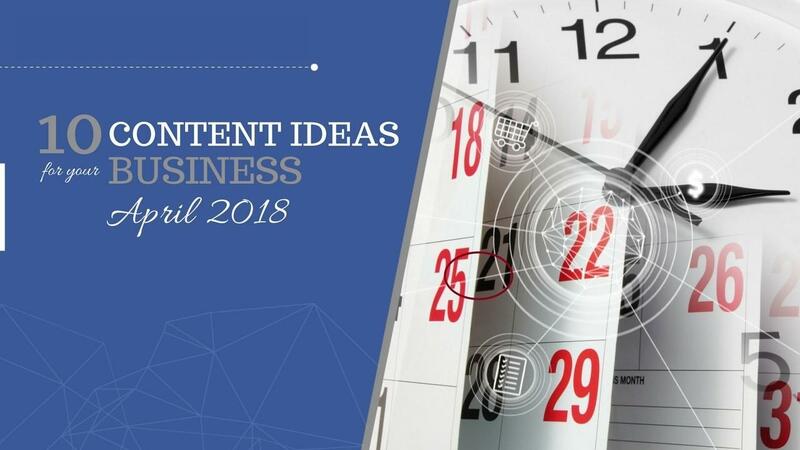 We’ve saved you some time and narrowed it down to 10 great content ideas to kick-start your content creation for May 2018! Several new changes have been introduced to LinkedIn recently, from GIFs to hashtags, new social features, and lots more! Take 10 minutes to read about the new fun features being introduced to LinkedIn. 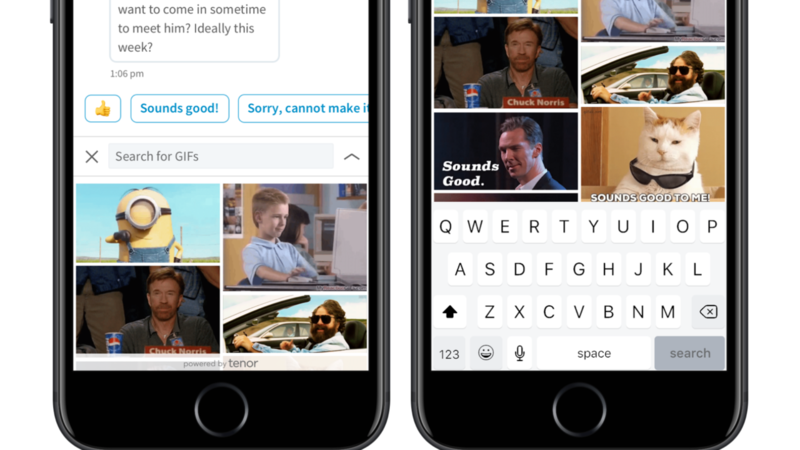 Recently LinkedIn announced that they were partnering with Tenor (an online GIF search engine & database) to introduce GIFs into messaging. 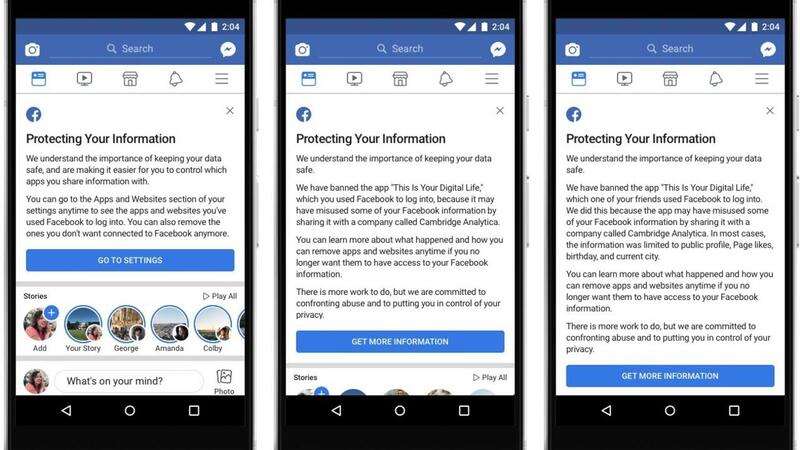 The Facebook algorithm is constantly evolving and in the wake of the recent data breach scandal, Facebook has released new privacy tools to restrict the data that is accessible on Facebook and the information apps can use when connected to Facebook. Take 10 minutes to read the details of the most important changes and discover what it means for your business Facebook strategy. Is your content calendar looking a bit like a ghost town? Are you struggling to create regular and relevant material? Or, do you just not have time to go trawling through hours of trending topics? Lucky for you, we have it sorted! 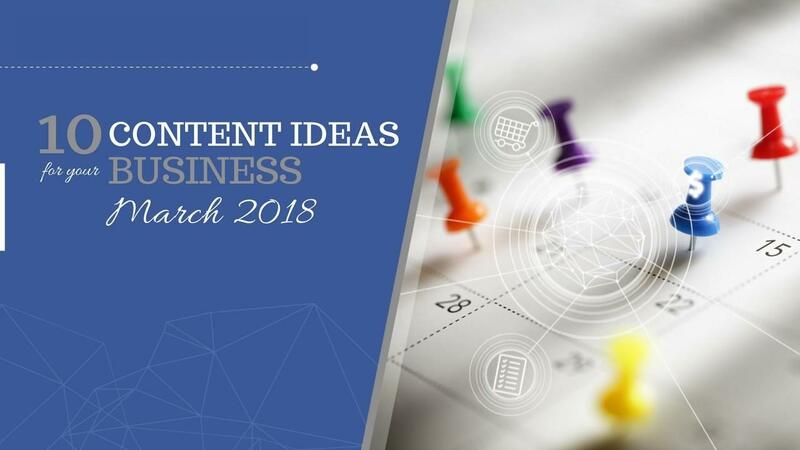 March is full of great social media content opportunities. From the multitude of trending day’s right through to Easter, we’re going to save you the leg work and narrow down the Top 10 Content Ideas that you might want to add to your social media calendar. Let’s get into it! Happy New Year from Take10 Social! In the Southern Hemisphere a lot of people are on summer holidays in January and for other parts of the world, people get stuck back to work early. So wherever you are in the world, plan your content so that it matches the activities of your core avatar or customers. Ahhh the festive season! Holidays, all things sparkling and bright, tinsel and baubles, and the man in the red suit! 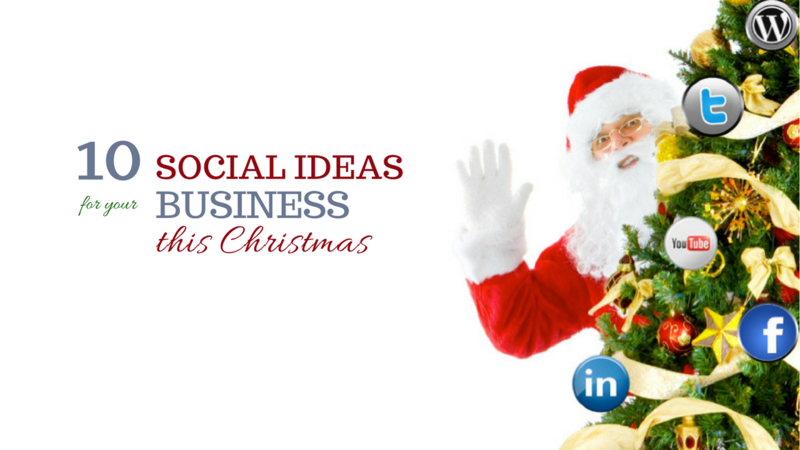 Get into the festive spirit and change your images on social media sites. This will set the scene for your holiday-inspired content that you will be posting about. Can you feel it in the air? It seems to come earlier and earlier every year! December really is the season to be social. Not just parties and presents, but in your social media communities too! You want to plan for that now, so that as your social calendar fills up, it's not your social media strategy that suffers. Social media provides endless possibilities for small businesses. That means there are seemingly endless types of posts that you can share on different social media platforms.